As the leading institutional, wholesale and retail marketplace for fixed income, derivatives and ETF trading, we believe that market participants will better understand the real impact of e-trading with more centralized access to data on our market activity. 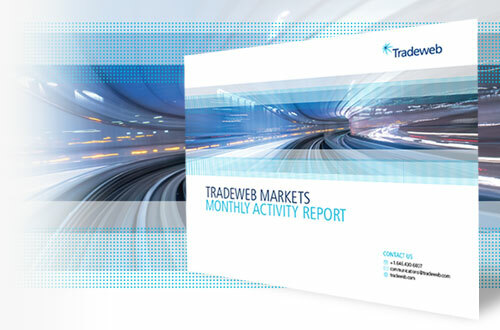 Activity on Tradeweb trading platforms in March was driven by new records for ADV in U.S. government bonds, European government bonds, mortgages, interest rate swaps and swaptions, and credit default swaps (CDS). The total for mortgages included forward trading in the new uniform mortgage-backed securities (UMBS) for the first time. ADV in CDS of $19.0 bn in March exceeded the record set a year prior by 16.6% due to a rise in trading activity driven by rolling activity across all products including single-name CDS. Growth in interest rate swaps and swaptions of 69.9% YoY was fueled in part by the continued surge in European swaps. ADV in repurchase agreements of $177.7 bn in March set another post-crisis record on further growth in bilateral electronic trading on the platform. Overall market volumes generally exhibit seasonal strength in March due to rolling activity as well as futures and options expirations across products.